The Cleveland Indians made a huge statement on Thursday night, adding big time firepower to their World Series-calibur lineup in the form of Edwin Encarnacion. The DH/1B signed with the Tribe for a reported 3 years and $60 million, though the team has not confirmed yet. The Indians make a huge splash adding Encarnacion. Photo by CBC. 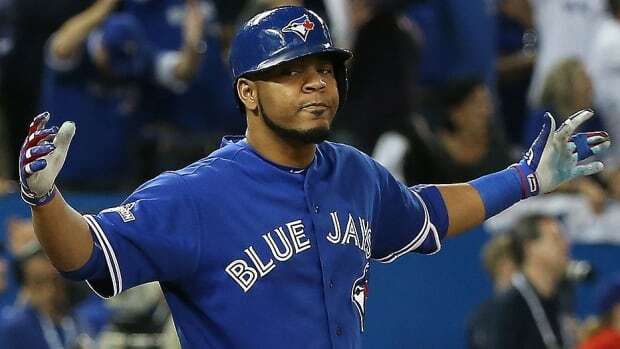 The 33 year old Dominican slugger had been a member of the Toronto Blue Jays since 2009, appearing in three All-Star games and helping the Jays to consecutive American League Championship Series appearances in 2015 and 2016. He comes off a 2016 that saw him bat .263 with 42 homers and 127 RBI, that last of which gave him a share of the AL lead with David Ortiz. Encarnacion is a .266 career hitter with 310 HR and 942 RBI. Adding Encarnacion to a lineup that already includes Jason Kipnis, Michael Brantley, Rajai Davis, Francisco Lindor, Jose Ramirez and Mike Napoli is a brilliant move by Cleveland. If the team had one more big bat in their lineup last season, the Tribe may very well have won the Fall Classic. Encarnacion will alleviate the home run pressure on Napoli and Carlos Santana and will give young guns like Ramirez and Lindor even more room to grow. Of course, the opposite end of the spectrum of possibilities could occur too. Encarnacion is 33 and he had a lot of protection in Toronto in guys like Jose Bautista and Josh Donaldson. Cleveland is small-ball lineup not known for power, so there is also a chance he could struggle. But, this is unlikely. Encarnacion probably won’t lead the AL in RBI again this year, but there’s not much reason to believe he won’t bolster the Indians. Pirates send McCutchen to Yankees. White Sox send LHP Jose Quintana to Pirates, prospect package headlined by RHP Tyler Glasnow (MLB no.8) to White Sox. Pirates star Andrew McCutchen could be donning pinstripes in 2017. Photo by the Pittsburgh Post-Gazette. If this trade comes to fruition, it would be one of the biggest blockbusters in MLB history. 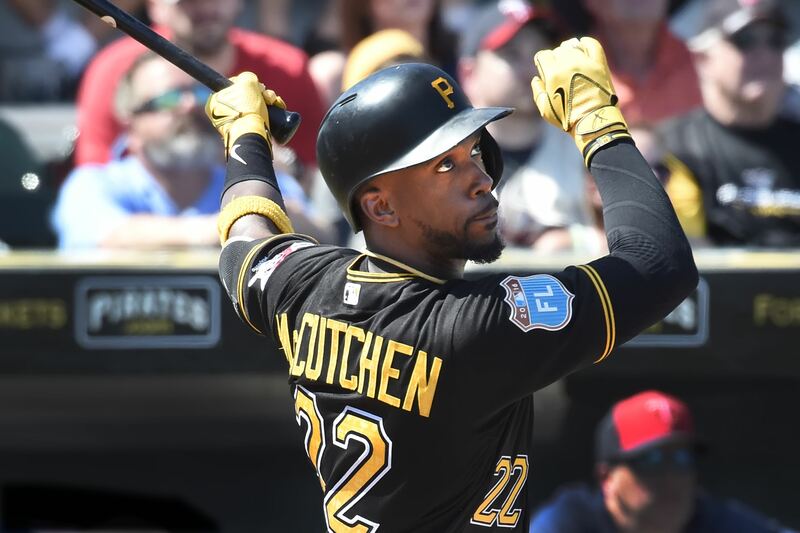 Despite 2016 being the worst season of his career, Andrew McCutchen is one of the best in the game and the Yankees would add a huge bat to their lineup. Jose Quintana broke out last season and is a reliable lefty starter that can boost the Bucs. And, adding Tyler Glasnow would even further cement the White Sox’ dominant offseason. 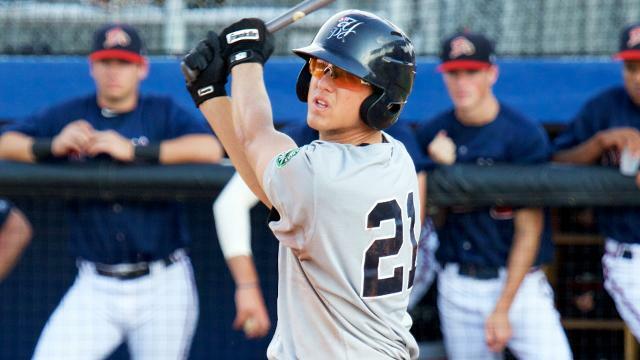 Don’t forget the South Siders added Yoan Moncada and Lucas Giolito earlier this month. However, this is not the smartest move on Pittsburgh’s behalf if the trade does go through. As previously mentioned, Andrew McCutchen seemingly fell off the face of the Earth in 2016 as he batted just .256 with only 79 RBI. Even though this was an awful season by his lofty standards, trading McCutchen right now is not a smart move. After 2016, McCutchen’s trade value is at an all-time low. Why, if you are the Pirates, would you ship off your franchise player now? The 30-year-old is too good a player to struggle the way he did and everyone knows he will bounce back in 2017. The Pirates could get far more for him than just Quintana if they give him a season to return to form. If, for example, ‘Cutch bats .315 in 2017, there’s not a lot you couldn’t ask for him because everyone knows he is pretty close to the complete package. If the move happens, Pittsburgh will be getting rid of its golden goose for only half the value. Again, this move could never happen, we have to wait and see. But, if it does, we all know the impact it will have.